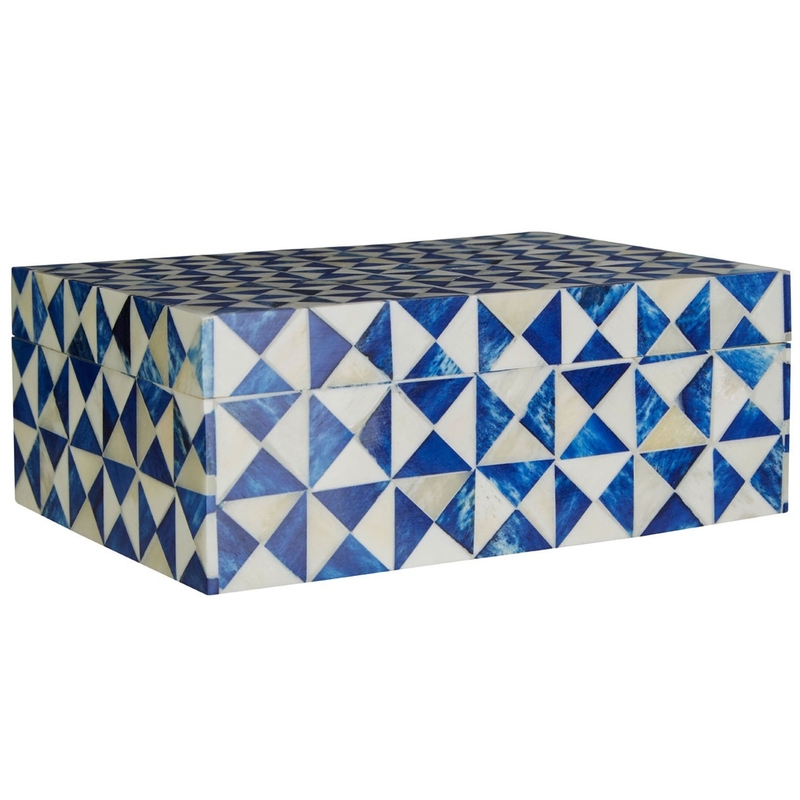 Make your home feel a lot more modern and furnished by introducing this beautiful Bowerbird Blue Large Trinket Box. This trinket box features a lovely contrasting diamond design, a combination of a blue and white colour that looks very modern. This trinket box is created from a very modern combination of Buffalo Bone and MDF.